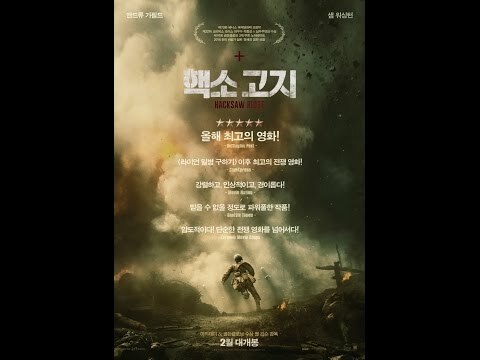 Hacksaw Ridgeis a 2016 biographical war drama film about the World War II experiences of Desmond Doss , an American pacifist combat medic who was a Seventh-day Adventist Christian , refusing to carry or use a firearm or weapons of any kind. Doss became the first conscientious objector to be awarded the Medal of Honor , for service above and beyond the call of duty during the Battle of Okinawa . Mel Gibson and written by Andrew Knight and Robert Schenkkan , based on a 2004 documentary about Doss, and stars Andrew Garfield as Doss, with Sam Worthington , Luke Bracey , Teresa Palmer , Hugo Weaving , Rachel Griffiths and Vince Vaughn in supporting roles. It was released in the United States on November 4, 2016, received positive reviews and grossed $175.3 million worldwide. and has received numerous awards and nominations. The film received six Oscar nominations at the 89th Academy Awards , including Best Picture , Best Director , Best Actor for Garfield and Best Sound Editing , winning the awards for Best Sound Mixing and Best Film Editing .It also received Golden Globe nominations for Best Picture , Best Director and Best Actor ,and 12 AACTA Awards nominations, winning the majority, including Best Film , Best Direction , Best Original Screenplay , Best Actor for Garfield, and Best Supporting Actor for Weaving. As a young boy, Desmond Doss nearly kills his younger brother Hal. This experience and his Seventh-day Adventist upbringing reinforce Desmond's belief in the commandment " Thou shalt not kill ". Years later, Doss ( Andrew Garfield ) takes an injured man to the hospital and meets a nurse, Dorothy Schutte ( Teresa Palmer ). The two begin a relationship and Doss tells Dorothy of his interest in medical work. At the outbreak of World War II, Doss is motivated to enlist in the Army and intends to serve as a combat medic . His father Tom ( Hugo Weaving ), a troubled World War I veteran, is deeply upset by the decision. Before leaving for Fort Jackson , he asks for Dorothy's hand in marriage and she accepts. Doss is placed under the command of Sergeant Howell ( Vince Vaughn ). He excels physically but becomes an outcast among his fellow soldiers for refusing to handle a rifle and train on Saturdays. Howell and Captain Glover ( Sam Worthington ) attempt to discharge Doss for psychiatric reasons but fail. They subsequently torment Doss by putting him through grueling labor, intending to get Doss to leave of his own accord. Despite being beaten one night by his fellow soldiers, he refuses to identify his attackers and continues training. They complete basic training and are released on leave, during which Doss intends to marry Dorothy, but his refusal to carry a firearm leads to an arrest for insubordination. Dorothy visits Doss in jail and tries to convince him to plead guilty so that he can be released without charge but Doss refuses to compromise his beliefs. At his trial, Doss pleads not guilty, but before he is sentenced, his father barges into the tribunal with a letter from a former commanding officer stating that his son's pacifism is protected by an Act of Congress . The charges against Doss are dropped, and he and Dorothy are married. Doss' unit is assigned to the 77th Infantry Division and deployed to the Pacific theater. During the Battle of Okinawa , Doss' unit is informed that they are to relieve the 96th Infantry Division , which was tasked with ascending and securing the Maeda Escarpment ("Hacksaw Ridge”). In the initial fight, both sides sustain heavy losses. Meanwhile, Doss successfully saves several soldiers, including those with severe injuries. 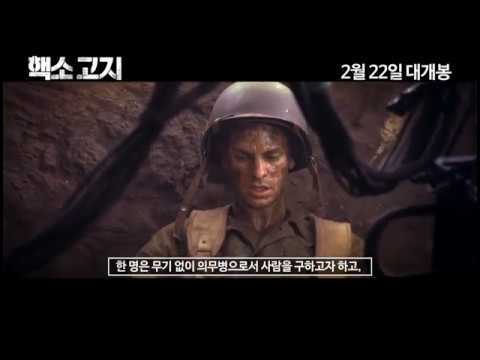 The Americans bivouac for the night and Doss spends the night in a foxhole with Smitty ( Luke Bracey ), a squad mate who was the first to call Doss a coward. Doss reveals that his aversion to holding a firearm stems from nearly shooting his drunken father, who threatened his mother with a gun. Smitty apologizes for doubting his courage and the two make amends. The next morning, the Japanese launch a massive counterattack and drive the Americans off the escarpment. Smitty is killed, while Howell and several of Doss' squad mates are left injured on the battlefield. Doss hears the cries of the dying soldiers and decides to run back into the carnage. He starts carrying wounded soldiers to the cliff's edge and rappelling them down by rope, each time praying to save one more. The arrival of dozens of wounded once presumed dead comes as a shock to the rest of the unit below. When day breaks, Doss rescues Howell and the two finally escape Hacksaw under enemy fire. Captain Glover tells Doss that the men have been inspired by his miraculous efforts, and that they will not launch the next attack without him. Despite the next day being Doss' Sabbath day, he joins his fellow soldiers after finishing his prayers. With reinforcements, they turn the tide of battle. During an ambush set by Japanese soldiers feigning surrender , Doss manages to save Glover and others by knocking away enemy grenades. Doss is eventually wounded by a grenade blast, but the battle is won. Doss descends the cliff, clutching the Bible Dorothy gave him. 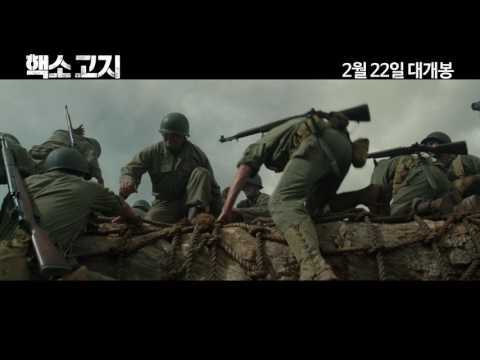 The film switches to real-life photos and archive footage showing that after rescuing 75 soldiers at Hacksaw Ridge, Doss was awarded the Medal of Honor by President Harry S. Truman. Doss stayed married to Dorothy until her death in 1991. He died on March 23, 2006, at the age of 87.